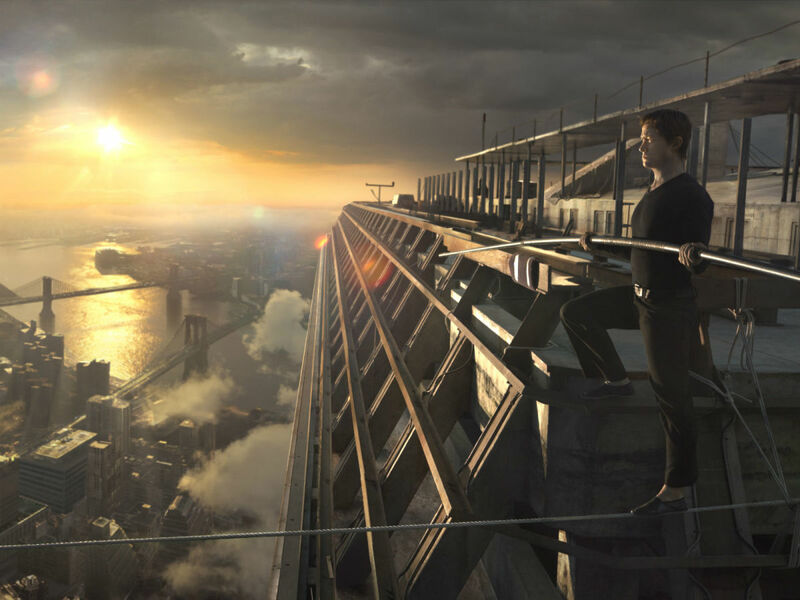 The story of wire walker Philippe Petit, who strung a cable between the two World Trade Center towers in 1974 and walked on it multiple times, is one of the most unbelievable and death-defying feats one could imagine. 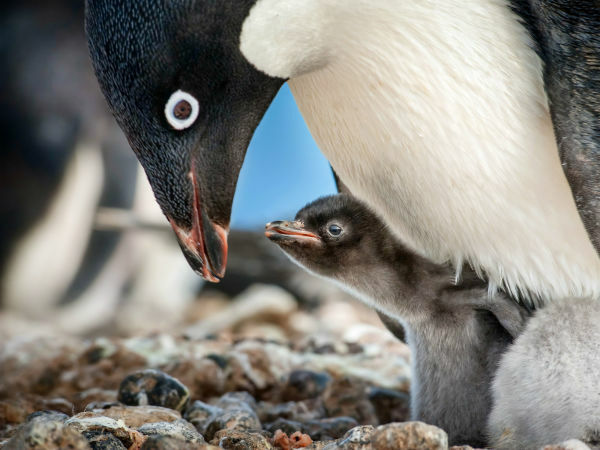 It’s a story told expertly in both Petit’s book To Reach the Clouds and the 2008 Oscar-winning documentary, Man on Wire. Since the documentary included some actual footage from the event, the only real reason to do a big-budget Hollywood version — aside from exposing the story to a larger audience — would be to try and put the audience out there on the wire with Petit (played by Joseph Gordon-Levitt). 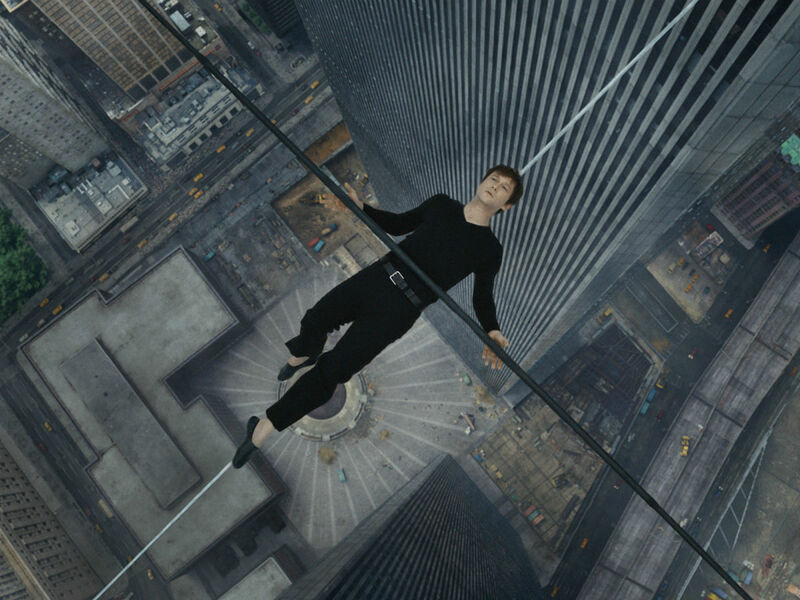 In this respect, director Robert Zemeckis is the perfect person to helm The Walk, as he’s long been at the forefront of cutting-edge special effects. But aside from the eye-popping grandeur of what Petit accomplished, the story of the event and Petit’s life leading up to that point is a relatively intimate one, something that’s at odds with the kind of movie Zemeckis seems to want to make. He, along with Christopher Browne, wrote the film, something he’s done only a handful of times throughout his long career, and his lack of writing experience is evident. For one, instead of just filming the story and letting it speak for itself, he has Gordon-Levitt constantly narrate the film directly to the audience, placing him on top of the Statue of Liberty’s torch with the towers in the background. It’s an approach that’s fun the first few times you see it, but one that becomes less interesting and more irritating the more it appears. 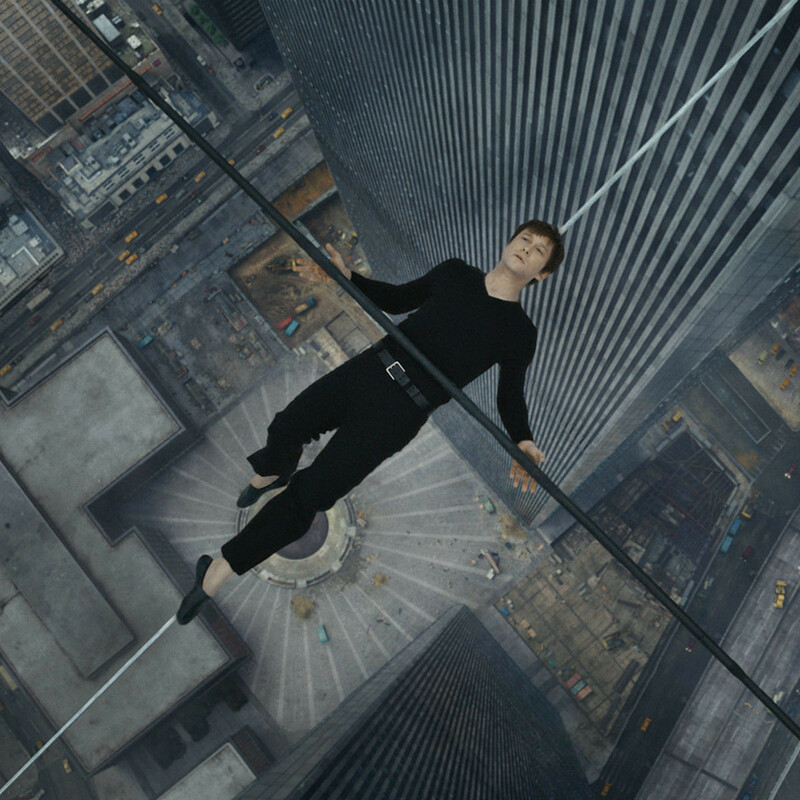 And while it’s nice to get some background on Petit and his inspiration for wire walking, Zemeckis and Browne fail to make his story all that compelling. Also, by devoting so much time to Petit’s formative years, they give short shrift to the derring-do that came before the actual wire walking, events that are actually as gripping as any bank heist. But what everybody wants to see, and the only reason for displaying the movie in IMAX 3D, is Petit and his team on top of the towers and him walking the wire. 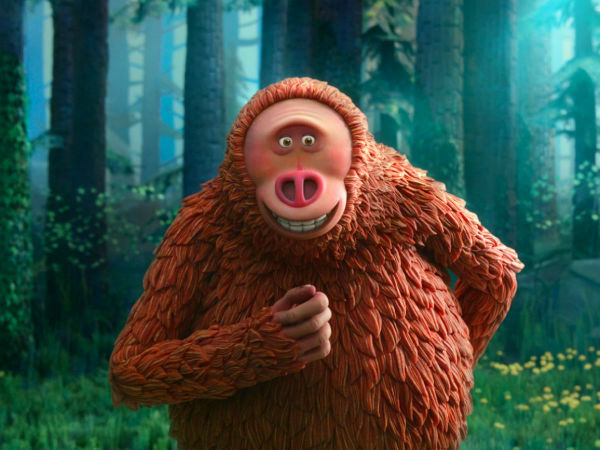 In this respect, Zemeckis succeeds mightily. Most movies deal in imaginary things, but knowing that the World Trade Center towers no longer exist and yet being able to feel like you’re on top of and all around them is an act of sheer magic. And Zemeckis takes the audience everywhere: Up the side of the 110-story buildings, on the roofs, on the wire, even out into thin air as if the camera were attached to a bird observing the absurd situation. Most movie lovers long for a transporting sense of wonder, and this film delivers it when it counts the most. From an acting perspective, Gordon-Levitt is the only one who really matters. He makes Petit into a cheeky and obsessed individual, and he manages the tricky French accent quite well. The supporting cast contains several quality actors, including Ben Kingsley, Charlotte Le Bon, and James Badge Dale, but none of them make much of an impression. Based purely on the spectacle of being able to be up close to Petit while he walks between the Twin Towers, The Walk is a sight to see. But taken as a whole, Zemeckis has made much better movies before, and perhaps should’ve left the writing to somebody else. 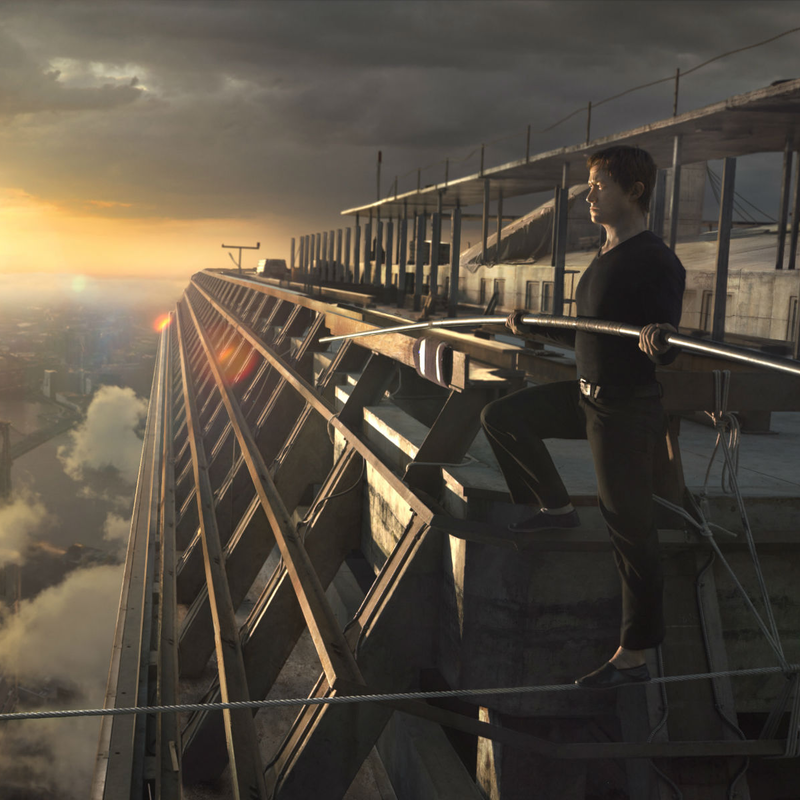 The Walk is showing on IMAX 3D screens now and everywhere on Friday, October 9.